There are many, many factors that will go into deciding which solution (Colocation or Managed Hosting) makes the most sense for you, making it nearly impossible to employ a simple ‘checklist’ approach. But, there are some major considerations which can get you going in the right direction, as follows. 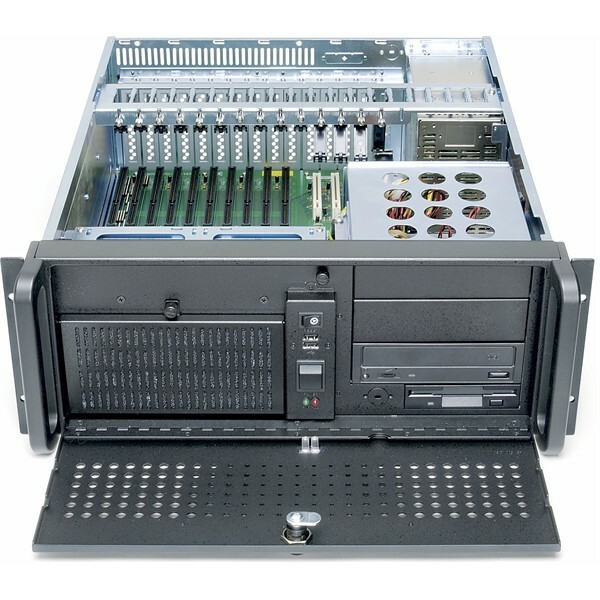 Rackmount server chassis such as this one support a range of high-density configurations. A big limitation of Managed Hosting is that your provider will typically select the hardware and software that you get, though they may give you some choices as to the ‘class’ of product or brand of operating system. If you only wish to host a simple home page, almost any basic server setup will do. But if you need to host database applications, audio/video streaming, websites like search engines and portals which generate lots of traffic, online applications, or anything else that requires lots of bandwidth or hardware resources, typical managed solutions are likely to come up short. Colocation will usually give you the most bang for your buck, especially when considering the compute and storage density of today’s servers. One powerful server, hosted in a modestly-priced colocation, could feasibly do the work of dozens of virtual private servers or hundreds of shared hosting accounts. With Colocation, YOU are in control and can implement the hardware and software that will yield the desired results – and you can get it from the vendor of your choice. While the initial entry cost for a Colocation plan can be high as compared to a simple managed plan (due to hardware purchases), you’ll generally find that you save money over time with Colocation. It used to be that these kinds of things were beyond the realm of the typical Managed Hosting provider. Their cookie-cutter approach allowed the hosting of thousands of home pages cheaply, but enterprise-class stuff like this was them. 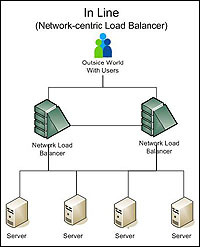 More recently, advances in virtualization platforms have allowed architectures for clustering, redudancy and load balancing to be setup fairly easily. However, as in our previous paragraph, unit costs for these kinds of services via a managed service are significantly higher than when “rolling your own”. The unrestricted nature of Colocation allows you to use multiple servers, dedicated internet appliances (such as firewalls, load balancers, etc) and custom devices, and to interconnect these as you see fit, even creating your own mini-network, which you then uplink to the public internet using the interface provided by your Colocation vendor. And since none of these functions are provided by your colo vendor, they have no direct impact on your colocation costs as long as your existing equipment stack can support them. The sky’s the limit! If you need a network connection from a dedicated carrier, or you are setting up a VoIP server, a VPN or some other special networking application, you may have difficulty getting what you need in a managed hosting situation. A Colocation provider – especially one who uses a carrier-neutral facility (meaning that the facility is available for service from all telcos), regularly does this and will be able to accommodate you. As you may have gleaned at this point, Managed Hosting tends to trade flexibility for convenience, imposing a range of limits and restrictions on your service. These may seem insignificant at first, but when you find yourself bumping up against limits on the number of domains you can host, types of services or content you can use, processor overhead available to you, address space available to you, etc, things can get frustrating – and if these limits can be lifted, you will pay for the privilege! Colocation typically imposes no such limits – you will pay more if your power/cabinet space or bandwidth usage increases, but you will enjoy ‘bulk rates’ that will become even more cost-effective as you grow. There could be a thousand reasons why, but the bottom line is that YOU want to be in the driver’s seat of your Internet presence project. Colocation puts you there. We’ll pause here for a moment, to state something that was likely becoming apparent to you: colocation puts you in the drivers’ seat as compared to managed services – in every way. Yes, you will have way more control and flexibility with colocation, but you will also have way more responsibility. To succeed with colocation, you will need to bring you own hardware and software IT, network administration, system administration, troubleshooting and repair services. If you server goes down at 3am, your colocation provider will not be doing much beyond giving it a simple reboot (and even that will only be at your request). Everything else is up to you. So, you’ve decided that colocation might be a viable option for you. Now let’s explore the various facets of colocation. We’ll start with how space for your equipment is measured and supplied in the data center.